Flower gardening is one of the most satisfying types of gardening – its only purpose is to bring beauty into the world, and who of us doesn’t need that? Before you go to the nursery, you need spend some time familiarizing yourself with the whats, hows and whys of flower gardening to get the best result. It is also important to select plants and flowers that will thrive in your climate. Spend some time at your local library researching different types of flowers that thrive in your particular climate. You can also take a few fact-finding trips to local nurseries and pick their brains about the best choices for a flower garden in your area. And plant catalogs provide climate zone information with each plant they sell. Take into account the lay of your land. Make a sketch of what you want and where you want it. Your choice of flowers will depend on how much sun, shade and drainage your selected plot receives. You can even design your garden according to color. Planting complementary colors (blue and orange, purple and yellow, green and red) next to each other makes a bold statement. Find out how tall each plant becomes so you can plant your tallest flowers in the back and your shortest in front. 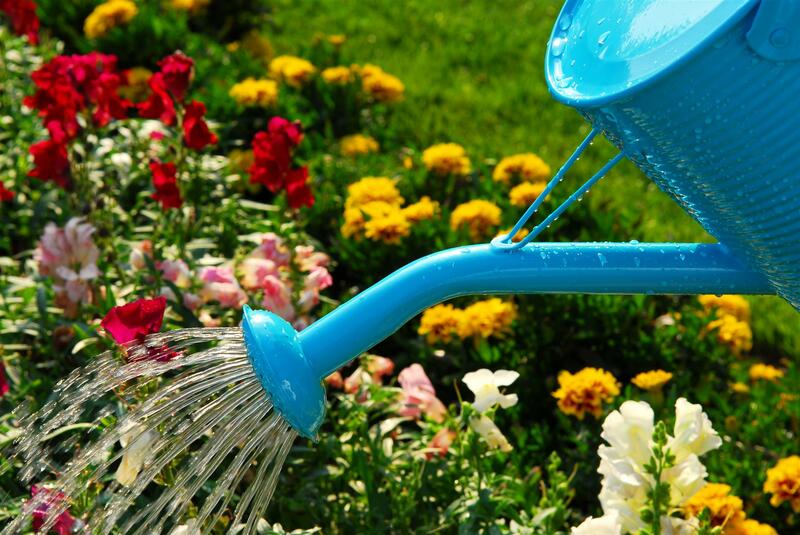 When all the flowers are planted, water them thoroughly and make sure the soil stays moist till they're established. Most flowers can get through a growing season with one, early-spring application of fertilizer. A mid-season feeding of a high-phosphorous fertilizer will promote flowering and help them through the summer. In order to insure germination of the seeds, you must make sure that the area receives at least one inch of water per week. l Always store bulbs in a dry, well-ventilated area to prevent mold or mildew. Do not store them in an air-tight container. Two more crucial elements: weeding and deadheading. You must be vigilant with your weeding. Weeds grow much quicker than the flowers and compete with them for nutrients. By keeping ahead of the weeds from the time of planting, you save yourself much time through the summer. Deadheading means to snip a dead or dying bloom off the mother plant. Without seeds to produce, the plant will work extra hard at pushing out another bloom. At the end of the summer, be sure to winterize your flowerbed to save work next spring. Pull out the roots and stems of your annuals, but pull only the stems of your perennials, leaving the roots for next year. Spread organic matter like peat moss, manure or compost over the soil as needed along with any fertilizer to replace nutrients used up over the summer. Then turn the soil over to mix in the new elements, being careful not to disrupt the perennial roots, and rake it smooth for next spring.